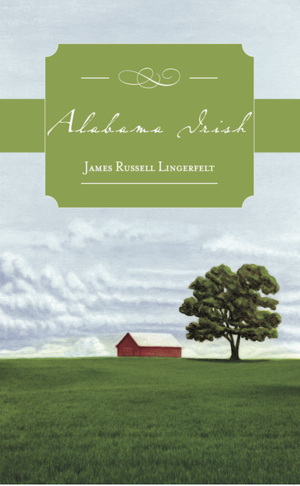 A while back, I read the Mason Jar by James Russell Lingerfelt, which I thoroughly enjoyed. I just finished reading Alabama Irish by him which I enjoyed as well. I love the way the story is told, through Brian's journal entries. The short entries, within the longer chapters, were a perfect fit to my reading style, allowing me to read even when I had only a few minutes and allowing me to read just one more section before going to sleep. I will say though that the short entries were initially a challenge for me to get into the story, but once I was in I was hooked! When Brian meets Lauren on a trip to New York, you get to witness his excitement and feelings of first love. A love that he holds so strong that he decides he must find a way to reconnect. This quest results in him heading off to school under a false backstory and with no money. I wasn't expecting it when I started to read, but loved when the story brought us to Pepperdine and started to intertwine with the story of Finn. It is with Finn that he first runs into Lauren, but winds up being disappointed to learn that she is seeing someone else. I love his maturity in recognizing that she had no idea that he was coming to Pepperdine. His false backstory eventually catches up with him and his coming clean nearly cost him the relationships that he so wanted. I loved how through the course of the story, you could witness the growth of Brian, not only through the experiences that he relayed in the entries, but even in the writing of the entries. Through his journal, we get to see him weather the ups and downs of a relationship and discover the value of true friendship. Reading a coming of age story told through the eyes of a young man, and written by a male author, is different than I am used to, but was wonderfully appealing. I can't wait to read more books by James Russell Lingerfelt in the future.